The Certified Fund-Raising Executive credential was created in 1981 to promote professionalism in fundraising practice. Now, on the 30th anniversary of the creation of CFRE, I thought I would take a few moments to consider whether CFRE has a future. The idea that fundraising is actually a profession has also taken root in recent decades with the dramatic increase in educational opportunities including college and university certificate and degree programs in nonprofit management and fundraising. As the nonprofit sector takes fundraising more seriously, as the number of nonprofit organizations grows thereby increasing the number of fundraising practitioners, one could conclude that the rapidly growing potential market for CFRE would mean a rosy future for the credential. Unfortunately, the future for CFRE is not automatically secure. Today, there are 5,322 holders of the CFRE credential, including myself, of which 4,422 reside in the U.S. Assuming that every reporting 501(c)3 has at least, and no more than, one person doing fundraising, that means that CFRE’s market penetration in the U.S. is about 1.4 percent! After 30 years, that’s a rather lackluster market penetration rate, suggesting the credential is crawling rather sprinting into the future. The average number of newly certified professionals has averaged just 445 worldwide from 2007-2010, according to the 2010 Annual Report from CFRE International. While this number grew over the previous three-year period, it’s certainly not a number that realizes the potential. Between 2007 and 2010, the worldwide number of CFRE holders grew by just one percent! Competition: Other credentialing programs exist including the Chartered Advisor in Philanthropy and the Advanced Certified Fund-Raising Executive. In addition, master’s degree programs compete with the CFRE credential. During a recent conversation on Twitter hosted by #fundchat (a weekly discussion on Twitter about fundraising issues that is held every Wednesday from 9:00 – 10:00 PM, Eastern time), a number of participants questioned the value of obtaining a CFRE designation if they’re going to get a master’s degree related to the profession; the thinking was that a related master’s degree is at least as strong a credential as a CFRE. Economics: CFRE is a voluntary certification. Government regulators do not require it. The decision to obtain a CFRE, is purely up to the individual professional. Making the decision to pursue a CFRE comes with a big price tag. First-time certificants must pay $618, if they are a member of a participating organization, or $778, if they are not. Those recertifying must pay a fee of $360, if they are a member of a participating organization, or $453, if they are not. Many employers are unwilling to pay for their employees to become certified, and many development professionals are unwilling or unable to pay the significant fee themselves. I suspect this will be particularly true in these tough economic times. This week, I was all set to write my blog post. But then, an article at The Chronicle of Philanthropy website caught my attention: “How a Double-Dip Recession Could Affect Giving” by Lisa Chiu. It was a fine article, but it was nevertheless the last straw. I’ve seen way too many articles, blog posts, and Tweets exploring the “What’s going to happen?” question. I have to respond. And, I have to share some meaningful suggestions. There’s really no mystery. It’s quite simple. I’ll tell you what will happen if there’s a double-dip recession or, for that matter, if the economy improves. Overall philanthropy will follow the growth trend of the Gross Domestic Product. Philanthropy has long correlated to GDP. It averages about two percent of GDP. So, if GDP goes down, giving will go down. If GDP grows modestly, philanthropy will grow modestly. If a miracle happens sometime soon and GDP growth leaps upward, so will giving. We don’t need more studies. We don’t need to guess. We already know what will happen. Stop Asking. It may seem obvious that you should never stop asking, but some nonprofit organizations really do think that the current economic conditions are not good for going out and soliciting money. So, they have scaled back their fundraising efforts. The Vancouver Symphony Orchestra (in Washington state), left their Director of Development position open for a year. They ended up on the verge of bankruptcy. If you ask for contributions, you may not get them. But, if you don’t ask, you certainly won’t get them. Ok, maybe you’ll get a few, but you won’t raise nearly as much money as if you get out and ask. Do Not Have a Compelling Case for Support. If you’re going to ask people for money, particularly folks who might be struggling themselves, you better have a superb case for support. Just showing up and saying, “Hi, I’m here. Give me money,” might work in good times, though it’s still not a particularly effective idea. But, in these tough economic times, you’ll need to do better. So, get back to basics. Examine your case for support and make it stronger. If you don’t have one, create one. 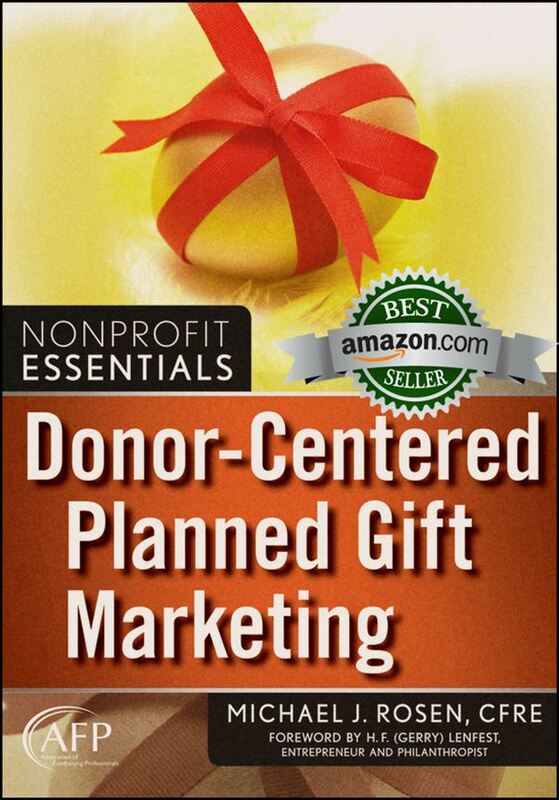 Tell prospective donors how you have wisely used previous contributions and what you intend to do with new dollars. 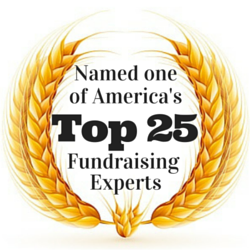 Identify a problem and show prospective donors how they are part of the solution. Ignore Current Supporters. To save money, some organizations are cutting their stewardship budgets. This is a great way to alienate and lose supporters at a time when you can least afford to do so. During the recession of the 1980s, I had a museum client with a senior executive who wanted to eliminate the member magazine to cut costs. Before doing that, the wise membership director and I put together a member survey to determine whether the membership valued the magazine or not and what, if anything, they valued in particular. We found that the magazine was an important member benefit, even among those who couldn’t remember any of the articles from the most recent issue. The most valued feature of the magazine was the listing of upcoming events. As a result of the survey, the membership department redesigned the magazine with a special pull-out calendar rather than a simple event listing. A follow-up survey found that members valued the publication even more. The membership retention rate even went up! And, yes, the great powers allowed the magazine to continue. In a bad economy, it is time to take especially good care of supporters. It is not the time to alienate them. Q1: How did you first hear about Michael Rosen Says…? Q2: Are you a subscriber? Q3: How do you learn about new blog posts at Michael Rosen Says…? Q5: How long should posts be? Q6: Would you be interested in reading posts from guest bloggers? Q7: Which statement do you AGREE with most? 94 percent, The blog content is about right. 6 percent, The blog content is too basic. Q8: What type of organization do you work for? Q10: How many years have you been working in the nonprofit sector? If you took the time to complete my Reader Survey, I thank you. If you did not take the survey, feel free to share your thoughts by commenting below. The feedback I have received and will continue to receive will help me ensure that my blog posts are as meaningful as possible. You’ll Only Hit What You Aim At. So, Aim High! My post this week is very personal. It is about my friend Gene Cavanaugh, a cabaret singer and philanthropist, who passed away on July 25, 2011. Because Gene’s story contains three valuable lessons for us all, I thought I would share it with you. For over 40 years Gene was a sales manager and audio consultant for the Record Shop, an electronics store in New Jersey. He retired three weeks before his passing at age 63. However, about 15 years ago, Gene made a long-held dream come true by launching his second career as a cabaret singer. He called it his “Midlife Musical Crisis.” Gene’s show featured classic, popular standards focusing on the themes of romance and maturity. His initial success led to regular engagements throughout the greater Philadelphia region. And, five years ago, Gene made his successful debut at New York’s Carnegie Hall. Because Gene had a bighearted spirit, he regularly donated his talents to charity, including singing at annual fundraisers for the Mazzoni Center and Dignity Philadelphia. So, what can we learn from this modest, though generous and talented, man who was taken too soon? Gene was an insecure man. But, he had a dream. As he approached his 50th birthday, he decided to take the plunge. He set goals for himself. He targeted where he wanted to perform and how frequently. He set a goal to attract sell-out crowds. And, he set an almost unimaginable goal for himself, a guy from Philly who managed an electronics store: He would play Carnegie Hall in New York City. Gene realized his goals by first articulating them and then doing the work necessary to achieve them. Whether in our own careers or for our organizations, we must set goals to be successful. We need to set goals for where we want to be in the near, mid, and long-term. Then, we need to map-out what we must do to achieve the goals. We may not always succeed, but the surest way to fail is to not set any goals or to not take the necessary steps to accomplish them. I always enjoyed Gene’s performances. He had a powerful, clear voice. He had a passion for the music. He also had vast knowledge of the songs of Broadway. One of Gene’s favorite things to do was to sing well-known songs from, and share tidbits about, little-known Broadway musicals. Yet, despite his enormous talent and terrific repertoire, Gene was always a nervous wreck before his performances. And, not just immediately before performances. He would worry for weeks leading up to his gigs. Would people come? He always sold out. Would he have a cold? He sometimes did, but it didn’t matter. Would the audience like his song selection? They always did. Would he be in good voice? Even at his worst, he was always enormously entertaining. Despite his pre-show anxiety, Gene never missed a performance. The opportunity for him to realize his dream every time he stepped to the microphone was enough for him to muster courage, overcome his insecurities, and seize the moment. In our lives, we have to stop listening to the voices around us and in our own heads that say, “It can’t be done.” Or, “You’re not good enough.” Instead, we need to confront our fears and move forward toward achieving our goals. We need to have courage. Gene was a very giving man. While never wealthy, he was nevertheless a philanthropist, a man who truly loved humanity. He gave money, his time, his talent. He gave to charities, his multitude of friends, his family. In return, Gene was loved by many who will carry his memory with them. When we give, we get so much more in return. Because of what we, who work in the nonprofit world, do for a living, it’s easy for us to get lost in the numbers. But, we need to remember that when we work to make the world a better place, when we give of ourselves, we enrich our own lives as well. I will miss my friend even though a part of him will always be with me. If there is a heavenly choir, then I know that Gene will be singing with the angels.